Though Google and Apple do not allow push notifications for cross-promotion, in-app notifications can grab a user’s attention and convert them to try your other apps. Chillingo found a creative way to use in-app notifications. On the opening screen of one of its games (in this case, Puzzle Craft 2), it displays an image and a system notification-style number 3. When a user goes to clear these notifications, each becomes a floating bubble across the screen. Upon clicking to “pop” any of these bubbles, the user is then taken to the download page in the app store for the cross-promoted app. User already like your work, so why not show it off a little bit? 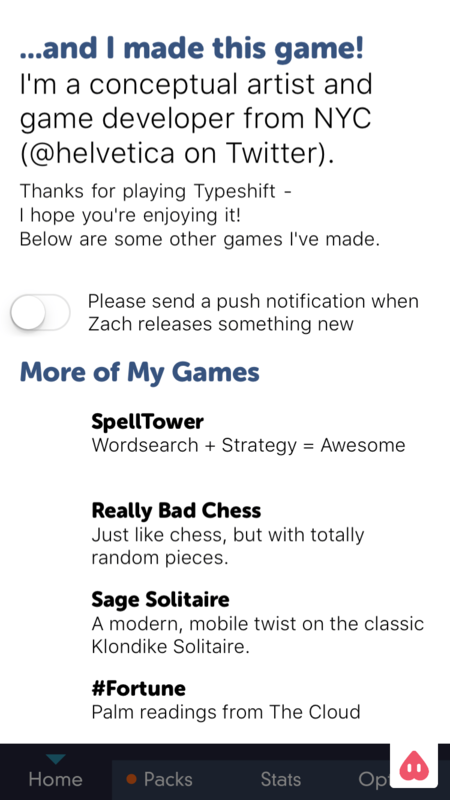 Add a button labeled “More Games” or “More Apps” and invite them to check it out. Zach Gage adds a personal touch by including a sentence about himself and conversational language. There’s even an opt-in for push notifications. Give users an in-app bonus for trying another app. In mobile games, these incentives could be bonus coins, virtual goods, or other prizes. You could even include your new game’s avatars in your existing game or include bonus levels that incorporate both apps. 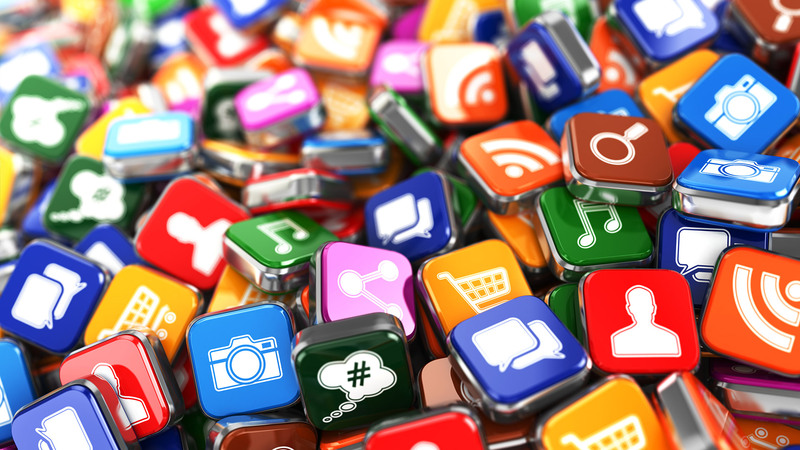 If you need more ideas, read our 10 tips on naming your mobile app. In-app banners and interstitials are the most obvious way to cross-promote apps. But because your own promos might take away from your ad revenue, it’s important to test them. You’ll want to run live A/B tests and affinity analysis, but before you go live, consider using PickFu. With PickFu, you can upload various ad creatives and see what mobile users similar to your app’s users prefer. You’ll also understand why, because each poll respondent submits a written comment, sharing his or her thoughts on your banner ads and interstitials. PickFu enables you to test copy, images, and video. Take advantage of your email marketing lists to tell your users about your other apps. You can go into greater detail in your emails than you would inside your apps. PickFu can help you with email marketing too, by testing subject lines before you send to achieve higher open rates. How else do you cross-promote apps? Tell us in the comments!